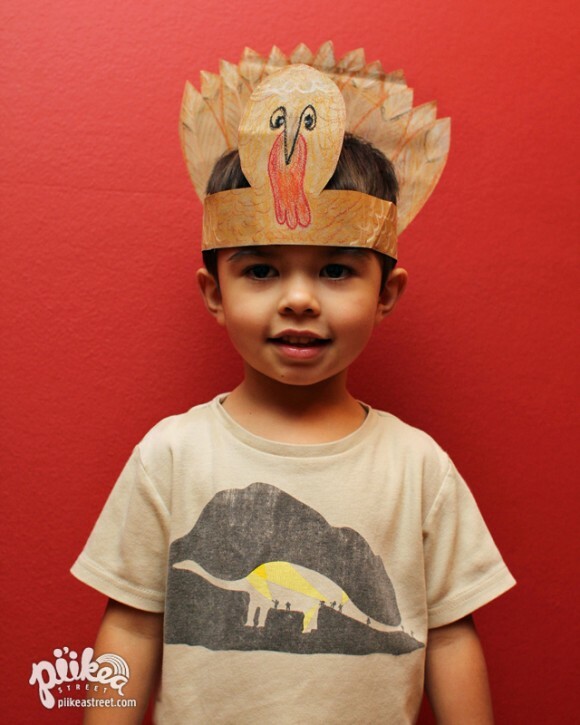 Turkey Headband | Pi'ikea St. The Turkey Headband is a fun and quick craft for you and your little ones to put together during the Thanksgiving season. 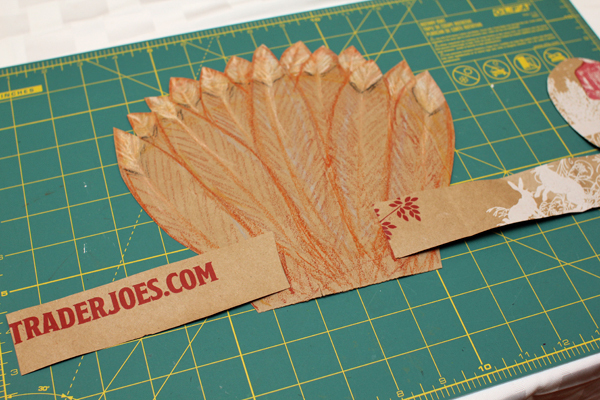 It is partially inspired by those cute Native American headbands we all made in grade school and our previous post, Paper Bag Wings. 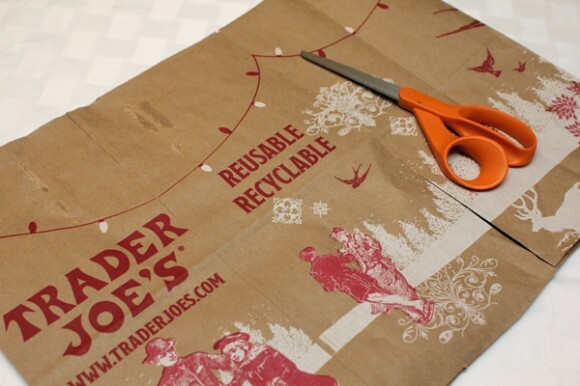 All you need for this project is a paper grocery bag, crayons and/or markers, scissors and some tape. First, cut the bottom of the paper bag out and then cut it open so you have one big piece. Measure your child’s head to see how long of a headband you’ll need. Mark your paper accordingly. Before cutting out the headband, decorate it. Draw a turkey head about 3 to 5 inches in for the front of the headband. Cut the strip out and set aside. Next, draw and cut the tail as a separate piece. Leave an inch or so at the bottom for a base and cut a couple of slits the width of your headband. 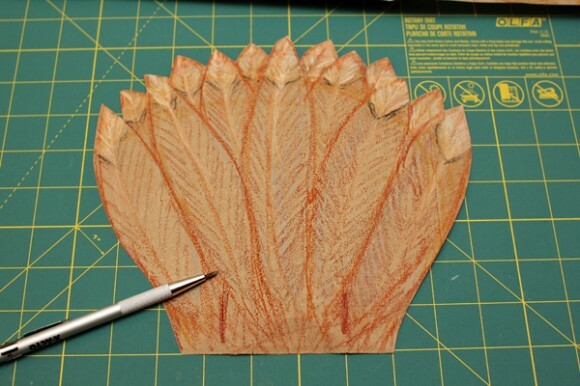 You’ll use the slits in the tail piece to slip the headband through. Finally, size the headband on your child and tape the ends together. 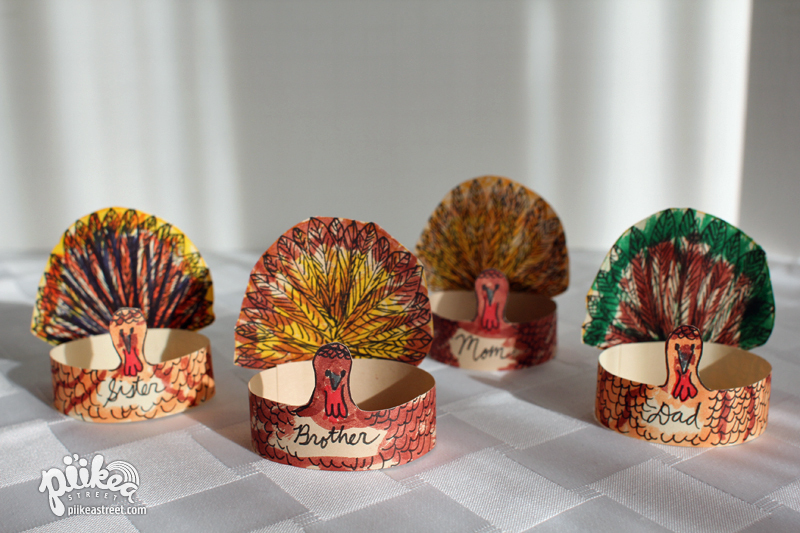 After completing this, I was then inspired to make a mini version to be used as place cards for our Thanksgiving meal. What do you think? 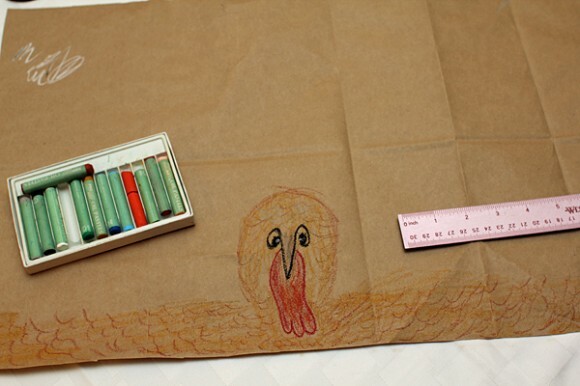 From all of us at Pi’ikea Street, have a Happy Thanksgiving!